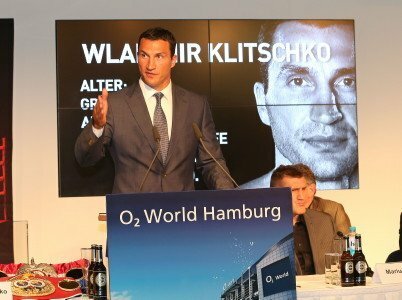 (Picture credit: Michael Freitag) By Joseph Herron: While camp is just getting underway at Wladimir Klitschko’s customary training facility in Austria, many have pondered the question concerning who will serve as the Heavyweight Champion’s chief second in Hamburg, Germany on November 10th. Due to an unexpected ailment suffered by Wladimir’s longtime trainer, friend, and mentor, Hall of Fame boxing legend Emanuel Steward, “The Steel Hammer” will find himself in a very unusual situation when he faces undefeated Heavyweight contender Mariusz Wach. While the usual band of fighters, coaches, and supporters will be on hand to help prepare the popular fighter, the incomparable master strategist and motivator will be unable to reprise his role as head trainer for a title defense that is set to take place in just 41 days. Emanuel Steward’s nephew and longtime Kronk Gym trainer Javan “Sugar” Hill expounds on the current situation. The proficient Kronk Gym fight coach is currently preparing Adonis Stevenson, Dmitriy Salita, and Johnathon Banks for three very important upcoming events. After Salita’s bout at the Barclays Center in Brooklyn, New York on October 20th, Sugar Hill will to travel to Austria to work with Johnathon Banks while he trains with Wladimir for the remainder of camp. Despite wanting to be by the Hall of Fame trainer’s side during this difficult period of recovery, the 40 year old boxing coach feels compelled to follow the orders of the “heart and soul” of the Kronk Gym, Emanuel Steward.